When I was a kid, I used to sleep over at my grandparents' house on my parents' date nights. Sure, I loved the generous Neapolitan ice cream sundaes and being allowed to watch The Golden Girls, but a highlight for me was observing my grandma's nighttime beauty ritual. In retrospect, it was pretty simple—she removed her makeup with Pond's Cold Cream, then followed with Estee Lauder Advanced Night Repair—but it instilled in me two critical points that have stayed with me to this day: 1) always take off your makeup at the end of the day and 2) moisturize the living crap out of your skin. My grandma was in her 80s but looked maybe 60; her skin was smooth and translucent. The woman knew what she was doing. Over the years, I've added a few steps to my routine, but whenever my skin starts acting up (I am very dry and my skin will flake in sheets when it's upset with me), I always go back to point number two and that seems to solve the problem. 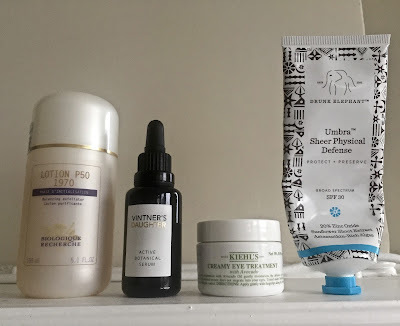 That said, I am always up for trying a new moisturizer, particularly one that gets glowing reviews in Into the Gloss, Racked, my favorite blogs...so I decided to pull the trigger on Vintner's Daughter Active Botanical Serum. Let's get this out of the way: it's $185. Yes, that is a lot of money. Yes, you can probably find something nearly as good for a lot less. But in my experience, that's pretty on par with a lot of luxury anti-aging creams and oils, and considering Vintner's Daughter is 100% natural, I decided it was worth the investment. That is, if it delivered the same results for me as it did for everyone else on the freaking Internet. I've been using Vintner's Daughter for two months now, and my conclusion is that the hype is real. My skin is soft and glowy, I haven't had a pimple or flaking, and the only makeup I need is a touch of concealer under my eyes. 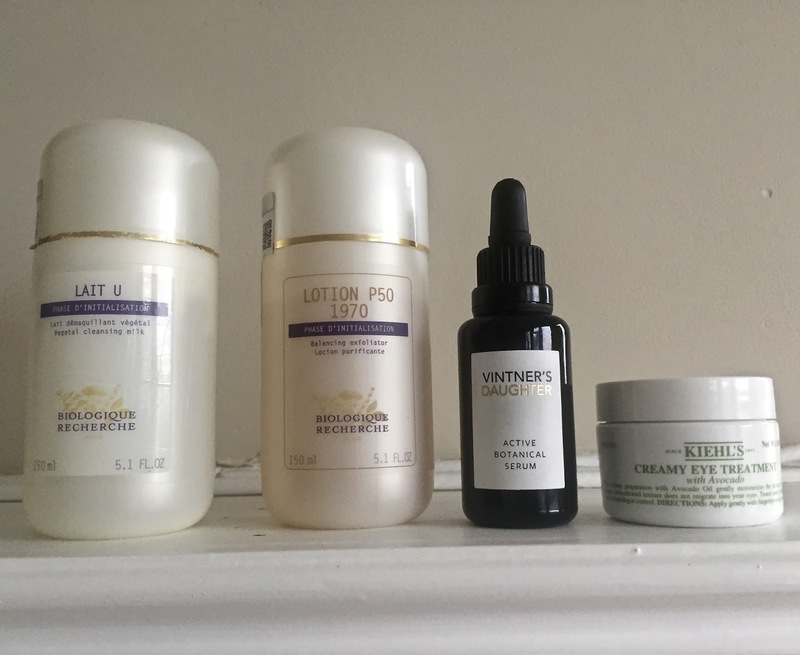 More importantly, it has greatly simplified my morning routine—instead of a hydrating mist, serum, and moisturizer, I just use Vintner's Daughter (I keep wanting to abbreviate it to VD but that's gross). The one catch is that applying it is a bit of a process, and following the instructions is key—you warm it up in your hands, then "push-press" it into your skin for 60 seconds, a massage-like technique that probably helps to boost circulation and thus contribute to that glow you're getting. Also, with 22 active ingredients, it has a distinct scent that I like (it smells like rich ladies) but that some might not. And bonus: the founder is from a winemaking family in Napa, so...well, I don't know what the bonus is, but I love wine, so there's that. Also, meant to comment on an earlier post but I am SO, SO glad you are back! Yours was the first blog that I ever read with any consistency and I adored it. I discovered CherylShops shortly after I moved to NYC and it felt very much like getting advice from a wise older sister (even though you're just a few months older than me). The combination of your industry expertise, strong writing, and amazing eye set an extremely high bar for blogs that very few have come close to. Over the years I've wondered what CS would look like if you were still blogging but never thought it would happen. Super excited to see what is next! Aww, thank you so much for the warm welcome back! I am really happy to be blogging again, and, strangely, I feel very focused and invigorated this time. I'm glad you (and many others) have hung around, and hopefully I can keep that bar high! As for the skincare, I've used P50 for years and I think it's one of the best products out there. I ran out of it a few months ago and started using another exfoliator that I received as a gift; after a few weeks, my skin was so dull and dry that I had to go back to it! The P50 and Vintner's Daughter are truly a dream team!